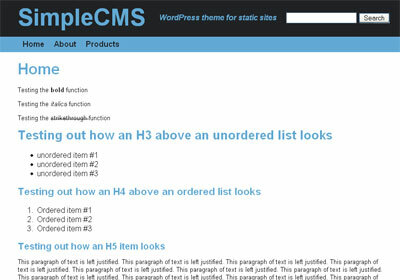 The Simple CMS WordPress Theme is designed as a development theme for our Simple CMS WordPress plugin. This theme is not designed to look pretty, but is a practical, simple theme to build your own designs from. The theme does not display comments, tags, categories or anything related to posts only. This theme is intended to display WordPress Pages and nothing else. The entire theme folder contains only four PHP files, unlike WordPress’s default Kubrick theme which uses 16! 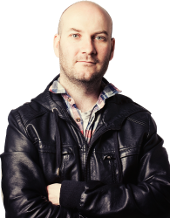 Hopefully this will make building themes for static websites a lot easier as there is less junk to remove to create your simple static site. Note: Just like the Simple CMS WordPress plugin, this theme is only designed to work with WordPress Version 2.5 or above. The demo link for theme not work. Thanks 🙂 I’ll remove the link as I don’t have a demo of what it running right now.